9. What Am I Going To Do? What do you get if you take away the guitar playing skills of John Mayer and leave everything else? Johnathan Rice. What do you get if you turn that bad version of John Mayer into a Conor Oberst wannabe? Johnathan Rice too! While Further North is significantly better than his frankly awful debut it's still not very good. Most of the songs were co-written by Jenny Lewis of Rilo Kiley and the Watson Twins and you have to wonder just how much her "co-writing" consisted of when everything she touched is tolerable, even good, at times and everything else is reaching for mediocre but falling short. Now when listening to this album you can't help but think you're randomally going to be hearing a line like "fathers be good to your daughters" and that proves to be a problem. 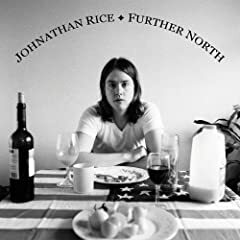 Johnathan Rice at times sounds so similar to John Mayer you can almost forget you're listening to him and the only real reminder is the bad political lyrics and average hooks. Johnathan Rice doesn't hold a candle to Mayers guitar playing as stated earlier and doesn't have anywhere near the ear for melody, luckily Lewis helped him in that department a bit too. All in all Johnathan Rice proves to be a bad songwriter that with help from the much more talented Jenny Lewis can create some decent songs, even good, but the sad reality for him is once she's done with him he'll be back to where he was, writing bad to mediocre music and assuring us that trouble is real. But for now, in the words of the Beatles, he'll get by with a little help from his friends.